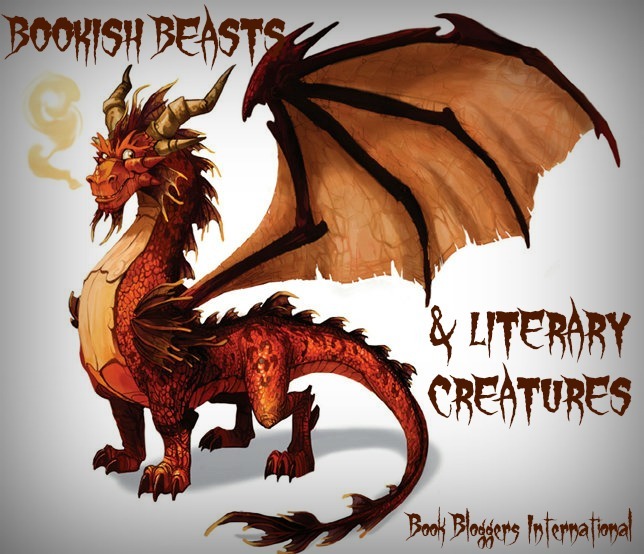 We have covered a wide array of beasts so far this month, but today Julianne of Outlandish Lit is bringing us another literary creature that we can't seem to live without these days . . . aliens! Read on for a little something out of this world! Aliens. There's so much to love about them. Why? Because we know literally nothing about them. Sure, there are some archetypes: short grays, tall grays, reptilians, alpha-draconians (and they are all fighting to control the earth and enslave the human race right now. WAKE UP, SHEEPLE). But what's so great about aliens is that they currently exist as an idea. They could be evil, they could be benevolent, they could be new to the galaxy, or they could have been here on earth ~all along~. All we really have is our imaginations to play with the idea of extraterrestrials, which makes them prime material for interesting books. So until we make first contact, here are some of the great, wildly different books about extraterrestrials you should check out that maybe you haven't before. STUDY UP, because they're coming. The short story "Out of All Them Bright Stars" by Nancy Kress is a phenomenal example of the root of all alien stories. One way or another, they're a commentary on humanity. What's valuable about it, what needs to change. In this story, the aliens have made first contact and are living amongst humans. In a small vignette, the main character witnesses prejudice against an individual alien in a diner. It's so powerful. Read it online here. This is one of the kinds of alien stories I just go crazy for. 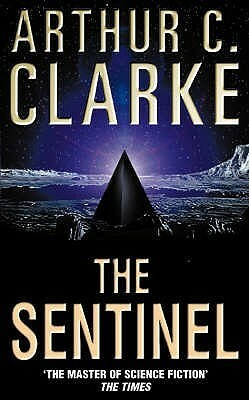 In "The Sentinel" by Arthur C. Clarke, a crew of astronauts finds a strange object on the moon surrounded by a forcefield. What's the implication of this object? Where did it come from? And what would happen if they were to break it? The ending thrills AND chills. You can read it here. 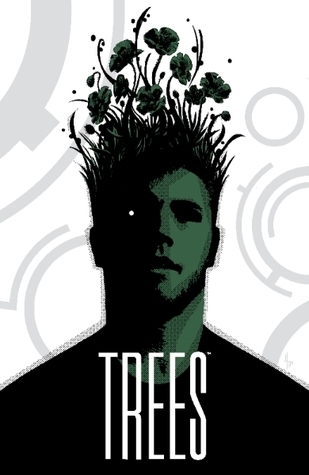 Though I haven't been loving all the single issue comics coming after it, Trees, Vol. 1 by Warren Ellis is so so solid. The aliens in this comic series are the strong silent type. By that I mean they are enormous tree-like columnar structures that plant themselves down in big cities, destroying a bunch of stuff, and then don't do anything. At all. What is the meaning behind them?? Is there sentience? Who sent them and where are they? This is my kind of extraterrestrial mystery. And then there are the aliens full of personality. And in the Saga series by Brian K. Vaughan (all 5 volumes out so far are 100% worth reading), the aliens are incredibly human. Two soldiers from warring factions of a space war fall in love and have to deal with the consequences of pursuing that love. And some of the other species they run into are amazing/hilarious/grotesque. If you like aliens AND fun, you must give Saga a read. 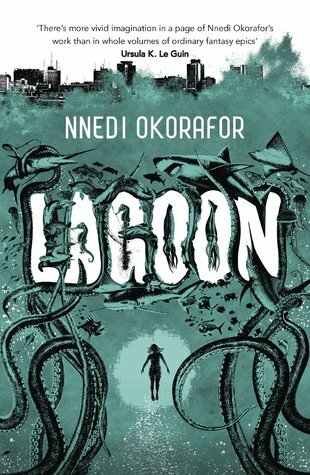 Lagoon by Nnedi Okorafor is one of the only real first contact stories on this list, and it's a great one. Something crashes into the sea near Lagos, Nigeria and an alien ambassador begins to communicate with three separate people. She promises them that they want to positively impact humans; that they just need some place to live. But convincing the rest of Nigeria of that is a whole ordeal that tears the city apart. Lagoon is another alien story that that forces us to take a look at our own world. Now this is my all-time favorite alien book. If you're looking for really truly original and alien aliens, you have GOT to read this. 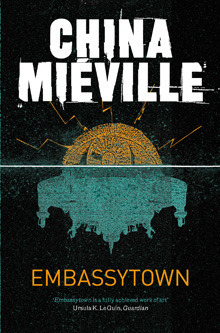 Embassytown by China Miéville. Humans live alongside the indigenous species called Ariekei on a planet. I'm not even going to try to describe the Ariekei race to you, it's too bizarre. But this book takes an amazing look at linguistics and the importance of language on this alien planet. And it is so so good. 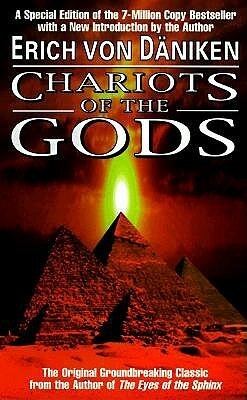 If you're ready for a little bit of ~serious research~ now that you know aliens are alive and well in the universe and on our planet, you should probably read Chariots of the Gods? by Erich von Daniken. This is the book that every person interviewed on Ancient Aliens read as a kid. A lot of it is farfetched, but I have to say, the thought that aliens could have shaped our past is super interesting to think about. SHOW ME PROOF THAT THEY DIDN'T. That's what I thought. I've never been big on aliens, but if done right, they can be pretty wicked. Thanks for the recommendations. Some look quite good to me. I tried to include an eclectic mix for those new to aliens and those already deep in love haha. Hope you like some of them! Saga!!!! I love this series so much, but I am one volume behind. I need to catch up. Thanks for the other recommendations. I need to get my hands on a couple of these. 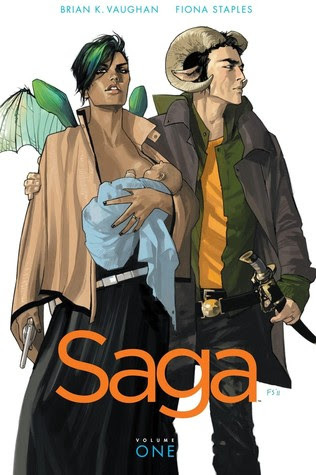 Saga is everything. Thanks for having me!! I need to read more books about aliens. And two thumbs up for adding Clarke!